Every once in a while it is nice to update a room in your house, whether it is a change of colour scheme or simply a refresh this can be achieved in simple steps. 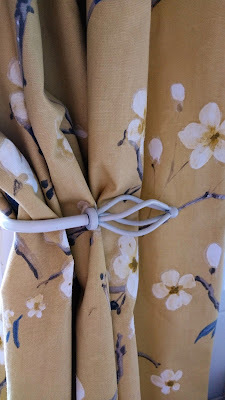 My kitchen was desperately in need of a refresh and when I was contacted by Curtains.com this gave me the perfect opportunity to give it a bit of a facelift. 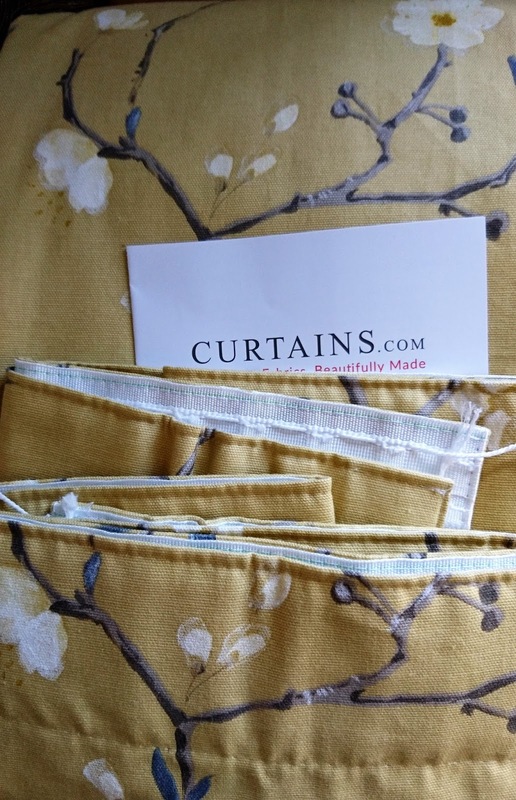 Curtains.com have a huge range of ready made curtains but also provide made to measure curtains as well. 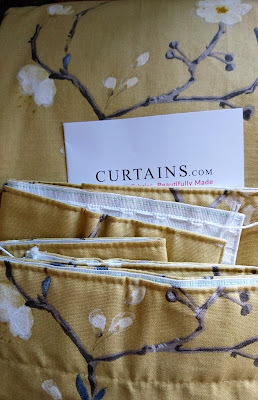 I did not realise there were so many things to consider when buying curtains and Curtains.com helped me every step of the way. My kitchen window is an odd size and therefore I had to opt for made to measure curtains. 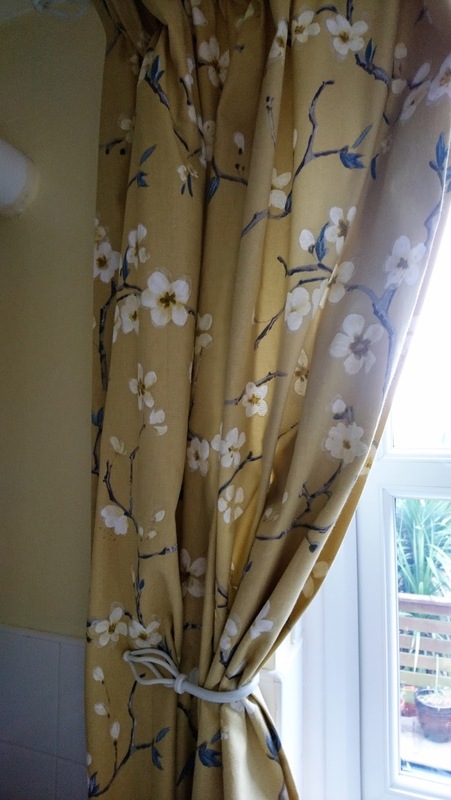 I was spoilt for choice with colour and designs available, eventually opting for Manor Delight fabric which is a floral print in yellow and white, made from 100% cotton. Once you know what fabric to use, you then have to choose the type of heading (tab top, eyelet, pencil pleat or pinch pleat and also lining (standard, black out, bonded interlining or thermal). Working to a budget can help you transform your kitchen in 5 easy steps with minimal mess. Clean out the cupboards, you will be surprised how many of us store things that probably went out of date 6 months ago and reorganise so things are easy to find. This will also give you more cupboard space to store gadgets off of the kitchen sides and allow you more work space. A coat of paint works wonders on tired looking walls and will give an instant facelift to any room. Try using a good quality paint designed for kitchen and bathroom areas as this will be more durable. Change the colour scheme to give a new look. This is only really beneficial if your small old appliances are due for renewal, otherwise try using neutral colours for small appliances, this allows you to change colour schemes within budget. Change the window dressings. Curtains add that finishing touch to any room and I love waking up to my new curtains, the pattern is bright and cheerful. If you have wooden or tiled floors add a rug with non slip backing, this can add warmth and colour to any room. I cannot express how pleased I was with the finished product the finer details like the hems and headings were perfectly sewn and they arrived neatly packaged, ready to hang. Unfortunately for me I could not get a decent photo of them up due to the light in my kitchen, but they do look wonderful. I would definitely use Curtains.com in future it really is a hassle free way of shopping for curtains, you can even order a swatch of fabric online prior to ordering which is really useful if you are wanting to match colours. I was sent these curtains free of charge for the purpose of this review but the opinion is entirely my own. 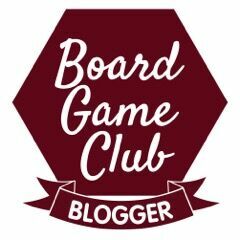 Great tips and really love the fabric you have chosen. I have a similar colour in my lounge, it's always so cheerful and fresh looking.